After upgrading to Windows 8, some users find it somewhat confusing. And no doubt it is to some extent, but every time something new comes up, it takes time to get familiar with it and the same goes for Windows 8 also. 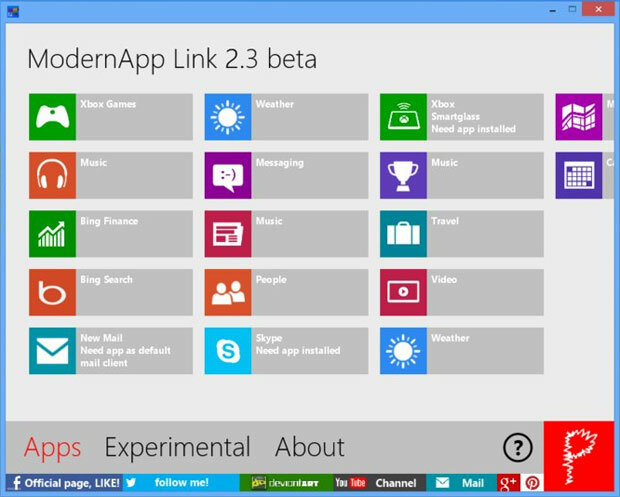 Many people don’t like the Metro Start Screen and want to use only the familiar desktop. But the problem is that you will need to go back to the Start Screen to run Metro / Modern apps which mean at one time you are using the familiar desktop interface and at next moment you are using the home (or Start) screen. 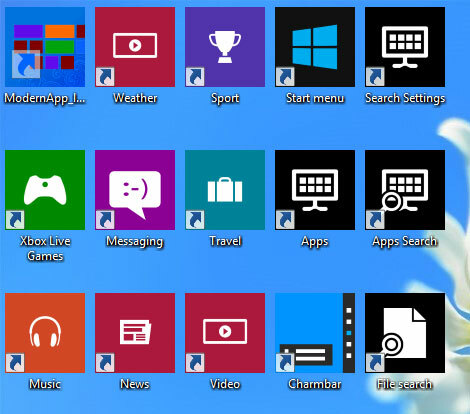 In such a situation, there’s a smart solution – simply create shortcuts to metro apps directly on your Windows 8 desktop. Yes, that’s possible with the help of ModernApp Link, a third party freeware that comes from a DeviantArt user Pasquiindustry. This program has a very simple interface. 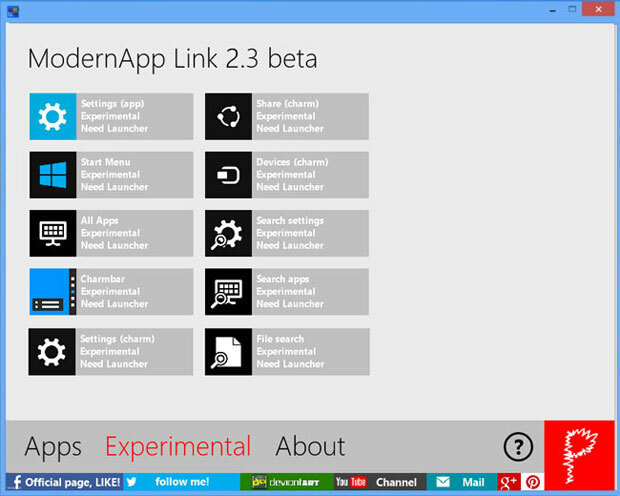 When you run it, you will be presented with a complete list of all the modern apps that you have on your Start Screen. Apart from adding shortcuts of Metro apps to your desktop, you can also add options such as file search, share (charm), search apps, Charmbar, Start Menu, settings and more. These options are also very helpful so that you don’t need to frequently access your Start Screen anymore. These options are present on the Experimental option present at bottom of the program. To create a shortcut of any of these modern app / settings, simply left click on the item and then click on Create shortcut on desktop. That’s all you need to do. You will now be able to see the app’s shortcut on your desktop which means you can launch the app / setting directly from the desktop, without going to the home screen. Now you’ve got one more reason to say good bye to the home screen. The above option lets you create the shortcut to desktop location only but what if you want to place a shortcut in your desired location (let’s say to Documents)? To do this, left click on the item and then click on Create shortcut (custom options). Below instructions will help you in proceeding forward. You have to select the location where you want to create the shortcut. Enter a name that you want to give to this new shortcut. Make sure that you give this shortcut a relevant name so that it is easy to identify it. Leave this icon number field as it is. Add a small description of the app. Add an icon file to your shortcut. To do this, search on Google to get a thumbnail of the app and then use convertico.com to convert image to .ico online. That’s all you need to do. Now you will be able to launch the Metro / Modern app from any location. ModernApp Link is surely a superb solution to create shortcuts of Metro apps. Get it from below link.